"Excellent Service, Courteous, Straight Talking." "Good Timely Visit, Good Customer Service And Happy To Show His Gas Safe Catd On Request! Happy To Use Again!!" "Turned Up On Time. Diagnosed Problem And Provided A Plan To Resolve It"
"Communication, Promptness And Professional And Of Course The Job Itself!" 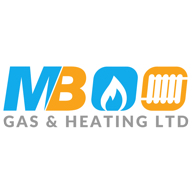 Need a Heating Engineer in Birmingham?